Beth Barany is the author of The Writer's Adventure Guide: 12 Stages to Writing Your Book, and Overcome Writer's Block. She's been a columnist and editor at The National Networker, and a contributing author to several anthologies, including Writing Romance, a bestseller, and Creativity Coaching Success Stories. 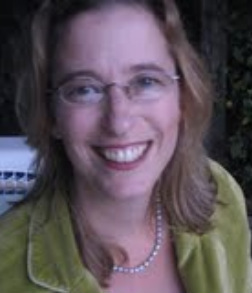 She is the editor of When I Was There, the bestselling anthology of stories about life at UC Berkeley, 1960-2010, and is also the editor for the bestseller, Honest Medicine: Effective, Time-Tested, Inexpensive Treatments for Life-Threatening Diseases by Julia Schopick. Beth works with clients in the US, Canada, and Europe. She also writes young adult fantasy novels. Beth speaks to groups and conferences all over the San Francisco Bay Area and across the United States. Typically who she works with are authors who ready to get their books completed and out into the world. She leads trainings to groups and associations to help authors get it done! On her off hours, Beth enjoys gardening, cross-country skiing, and watching movies. Henrietta, the legendary Dragon Slayer of the Kingdom of Bleuve, can’t stomach the thought of one more kill. Yet, in order to save her dying mentor, she must go on one last quest. But will the quest for the healing stone be derailed by misfit companions, seasickness, and an ego maniacal king? And will she be able to cut past her conscience and kill the dragon? Do you have a book inside you that can’t find its way out? Are you having trouble even getting started on your book writing journey? The Writer’s Adventure Guide helps you step off into the unknown of a writing project and see it through to its destination—from the first exciting flash of an idea to that dark moment when you think you’ll never write a decent paragraph again. This guide gives you tips and tools for keeping an eye on your inner landscape so you can achieve your goal of writing a book. In 12 clear, organized steps, find out how you can: * Build confidence in your writing instincts * Forge a clear path from inspiration to completion * Learn how to write the book while living your active life * Delight in the creative adventure, both its ups and downs * Complete your novel or nonfiction book. From the 1960s to the 21st century, this anthology contains personal stories of life as a Cal student: heart-warming, humorous, and heart-wrenching. Incoming freshmen, students, and alumni get to see Cal as it was, and is today. Written entirely by Cal alumni authors, part-nostalgic, part-pride, and part-wonderment, When I Was There celebrates the many facets of the U.C. Berkeley experience.